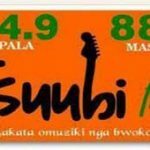 Ssuubi FM is one of the most famous online radio station on Uganda. Ssuubi FM live broadcasting from Kampala, Uganda. Ssuubi FM broadcasting since January 2008 where the programs and playlists are full of various genre. Ssuubi FM is the ultimate radio on various targeted subjects of Uganda. In Uganda people are very fond of radio and its one of their major entertainment and communication medium which helps them to lift up the entertainment things.